Rosalie Onorato died of leukemia on Sunday, April 27, 1980, at the age of 31. 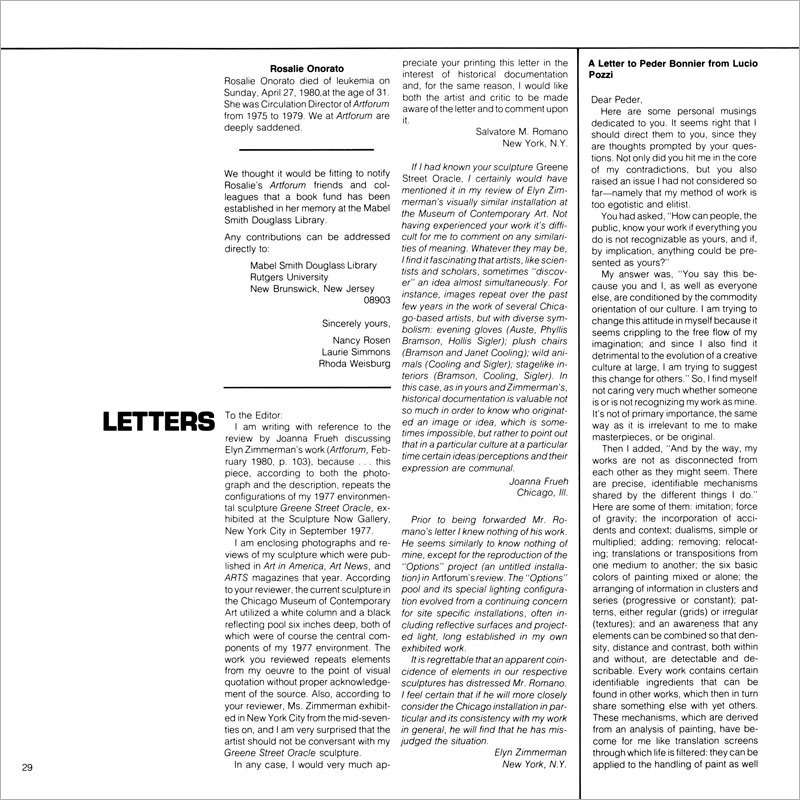 She was Circulation Director of Artforum from 1975 to 1979. 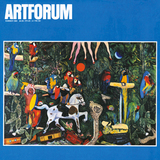 We at Artforum are deeply saddened. We thought it would be fitting to notify Rosalie’s Artforum friends and colleagues that a book fund has been established in her memory at the Mabel Smith Douglass Library. Order the PRINT EDITION of the Summer 1980 issue for $17 or the ONLINE EDITION for $5.99.